Hello Birmingham gum chewers, today we’re going to talk about that sticky wad in your mouth. 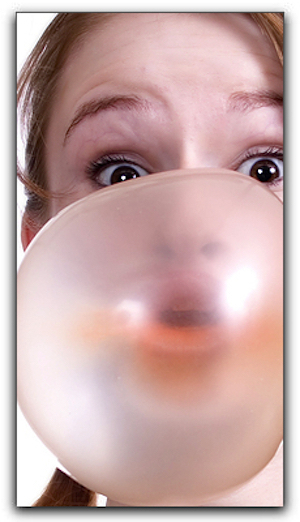 You know that it can freshen your breath, but can it really help prevent cavities? That’s the question we’re asking in today’s Birmingham cosmetic dental blog. So if you’re headed out to any restaurants in the Birmingham area, bring a pack of sugar-free gum with you and pop it in your mouth when your meal is done. Of course, brushing and flossing are a better option for your oral health, but when you can’t brush, choose a sugarless gum with xylitol to chew. I’m Dr. J. Paul Koch, a cosmetic and sedation dentist in Birmingham. I want my patients to have the best oral health possible. My practice, Koch Aesthetic Dentistry, is located at 2311 Highland Ave S, Ste 323. If you have any questions about how to improve your oral health, or if you would like to learn more about any of our cosmetic dentistry procedures such as teeth whitening, veneers, and complete smile makeovers, give us a call today at 205-933-0323. We specialize in cosmetic dentistry, dental implants, and clear braces. Our staff is passionate about your smile, your comfort and your professional care. Give us a call today to set an appointment!